In early fall, our kind farming friends gave us many pumpkin-y things to decorate the restaurant. When Christmas took over the restaurant, I brought the harvest to our living room. A few weeks ago I realized, I should probably remove the harvest decorations since there was snow on the ground and our neighbor had already removed his outdoor Christmas lights. Instead of just throwing away the squashes, I wanted to get the seeds out of them so I could have a snack. Never one to be deterred by a thick skinned squash, I decided to crack them open by dropping them on the kitchen floor. (I should mention that our kitchen floor is old linoleum and that no one is in love with the state of our kitchen…it’s constantly mentioned that it needs a facelift.) 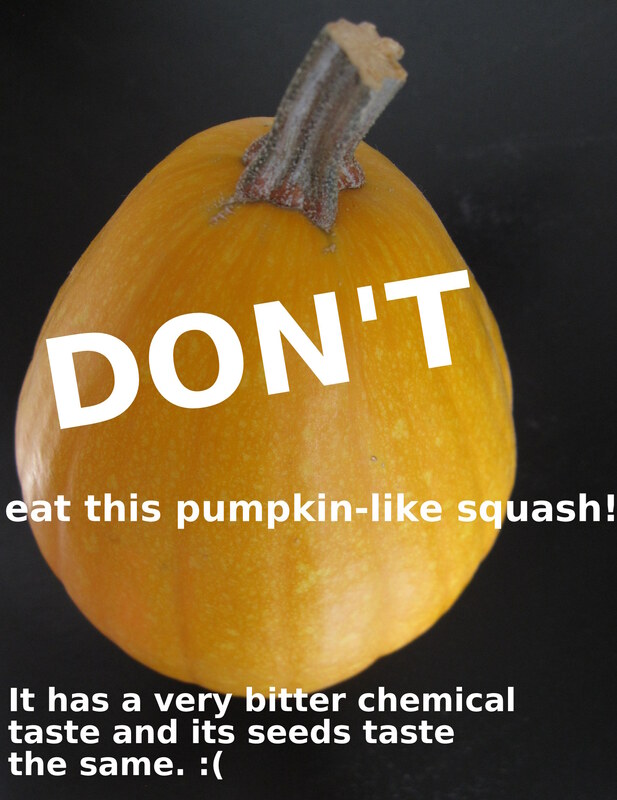 I do not recommend this method of opening gourds or squash if you have lovely wood floors or if someone in your house is trying to take a nap. Once the squash cracked open a bit (it took quite a few times of ‘dropping’ on the floor), I used a knife to wedge it open some more and scoop out the seeds. Then I rinsed the seeds, salted them and toasted them in the oven. Crunchy and yum! There were five different kinds of squash and gourds. I tossed all the seeds into one bowl. I couldn’t really tasty a difference between them except for the seeds of the turban squash…they were very big and not too crunchy. But I do have a warning… *For more information on this bitter orange guy see the comments. 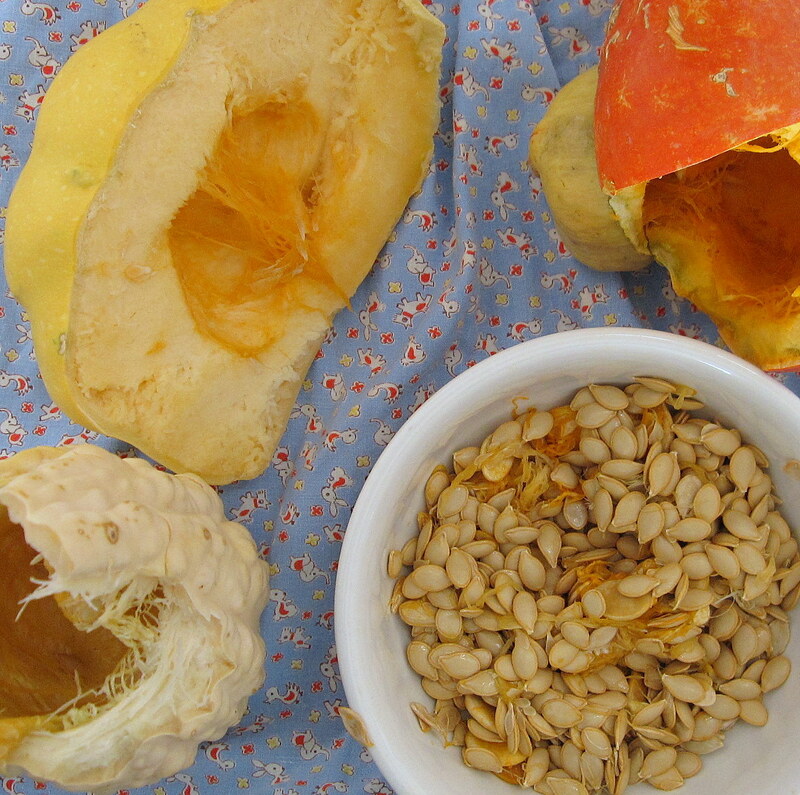 Do you have a method for opening gourds and slightly dried out squash that is more sophisticated than “drop repeatedly on the floor”? If so, I’d love to hear! 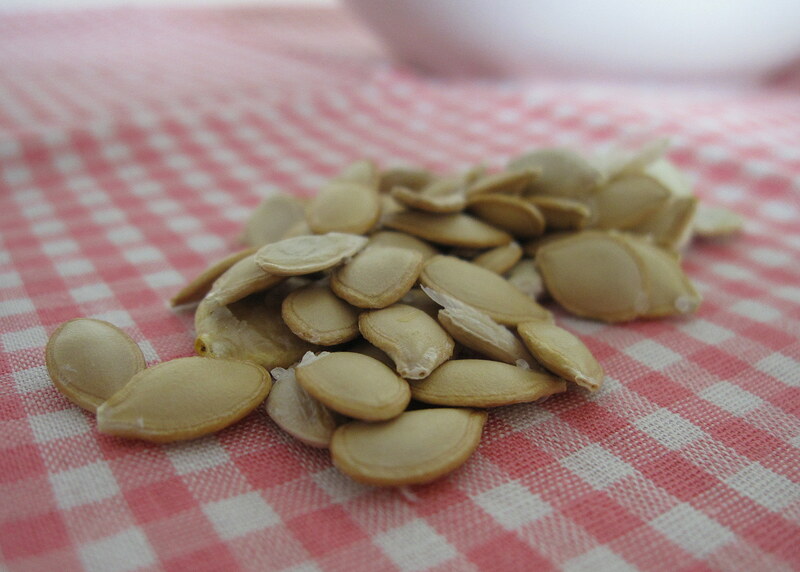 Do you like toasted squash seeds? Do you season them with anything other than salt?